A bill that would have given the state of Georgia control over Atlanta’s Hartsfield-Jackson International (ATL) failed when the Georgia legislative session ended without a final vote. 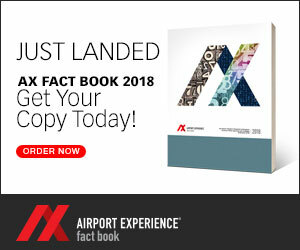 There were actually two bills under consideration: the first, Georgia Senate Bill 131, would have created the Georgia Major Airport Authority to oversee ATL. It passed the state Senate in March. A second bill, which garnered support in the Georgia House of Representatives, called for establishing an oversight panel for the airport. Neither of the two bills got through both legislative bodies. ATL has come under local, state and federal scrutiny for after reports of bribery involving an Atlanta city official and allegations of misuse of airport revenue surfaced. But airport and city officials vigorously opposed any state takeover, noting that the move would likely trigger legal action from the Federal Aviation Authority to block the hostile takeover attempt. Delta Air Lines, a key carrier at the airport, also opposed the state takeover attempts. Republican State Sen. Burt Jones, author of the Senate bill, told the newspaper the measure got more traction that he thought it would this year and said it would likely be introduced again in the next biennial legislative session in 2021.